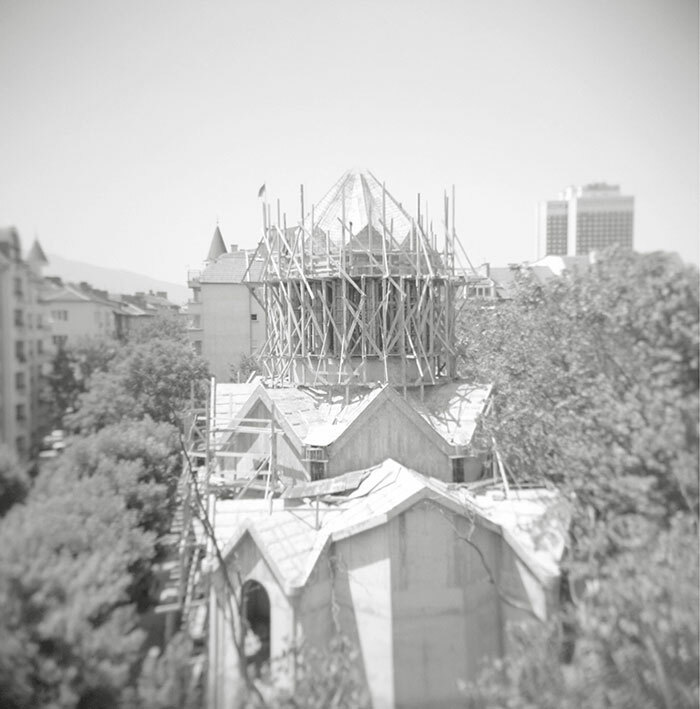 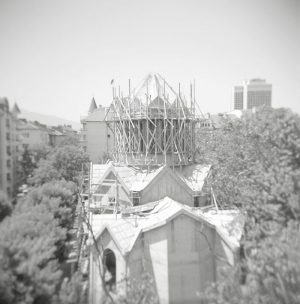 Arménie Ville is a photo installation and book project conceived originally during an artist residency at the Cité Internationale des Arts in Paris in 2007, which coincided with the Year of Armenia in France. 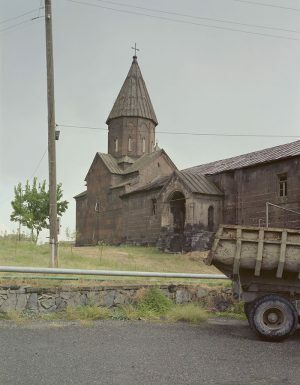 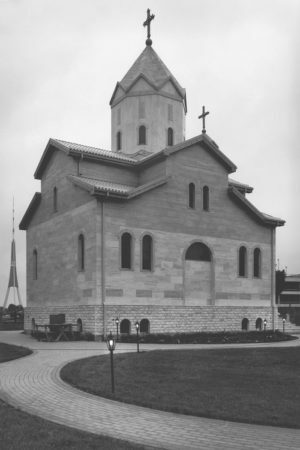 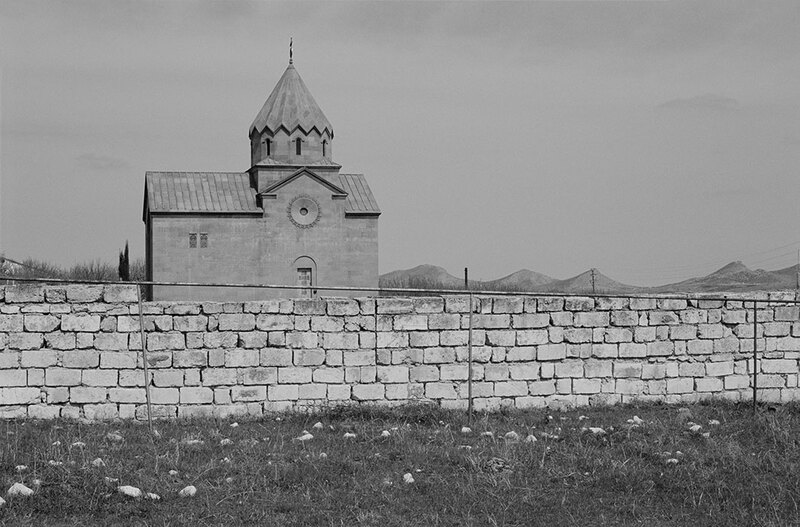 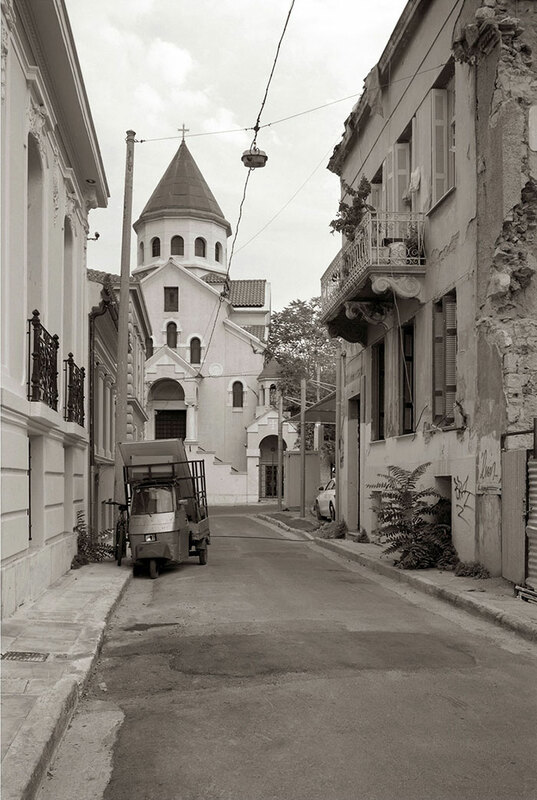 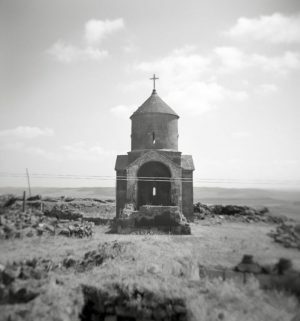 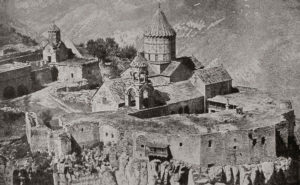 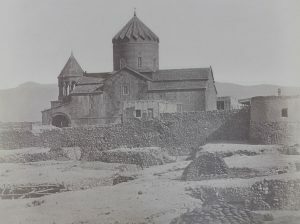 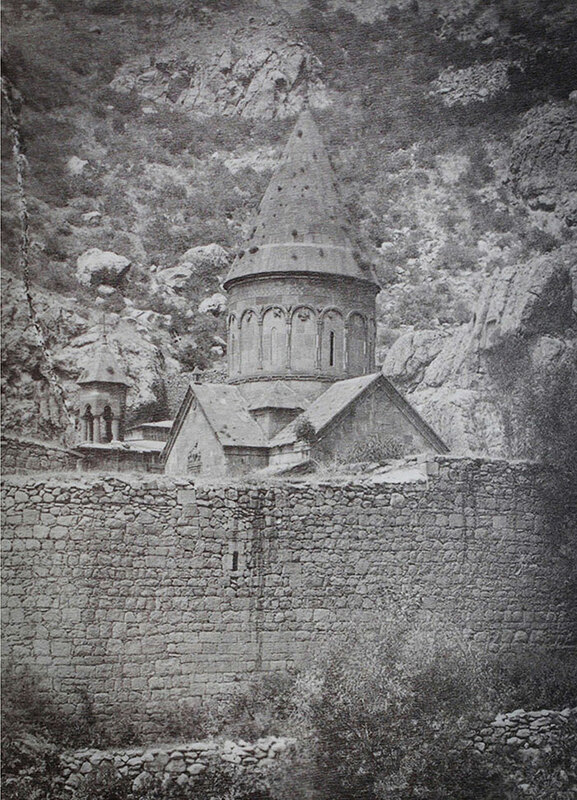 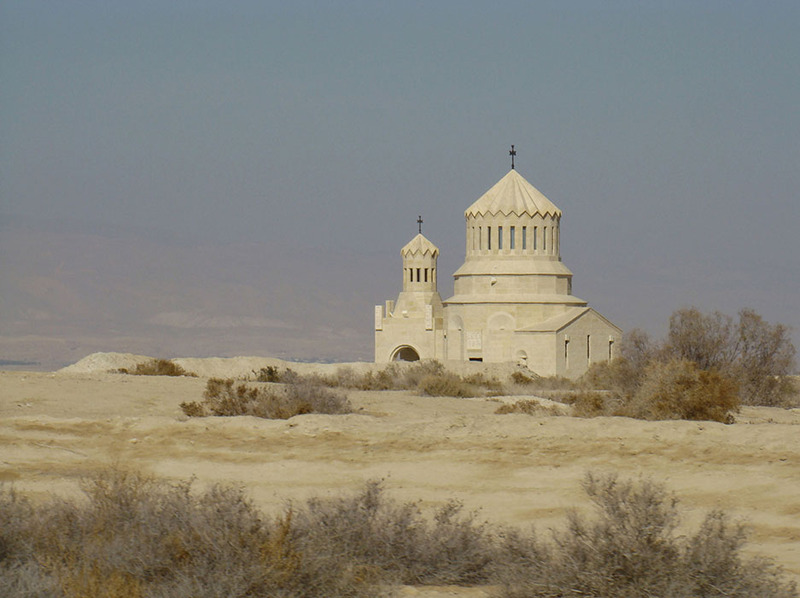 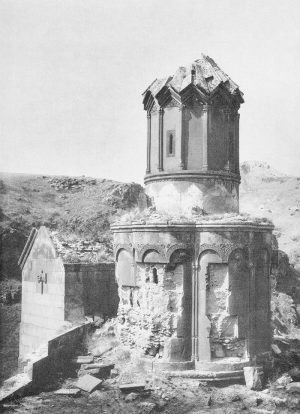 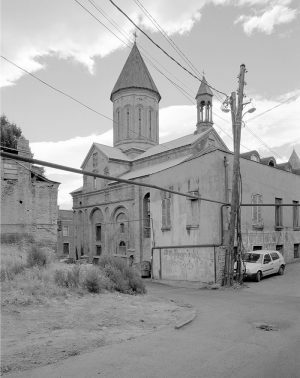 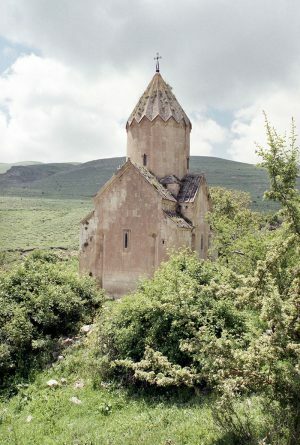 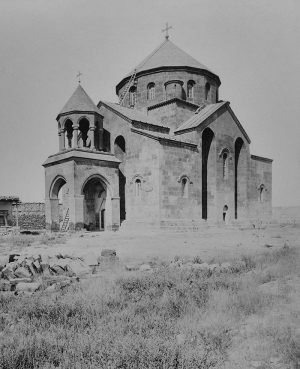 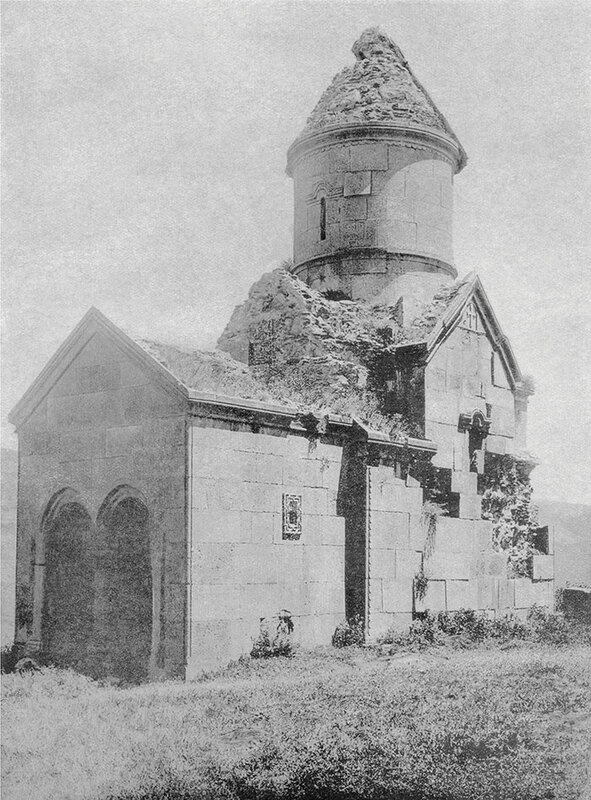 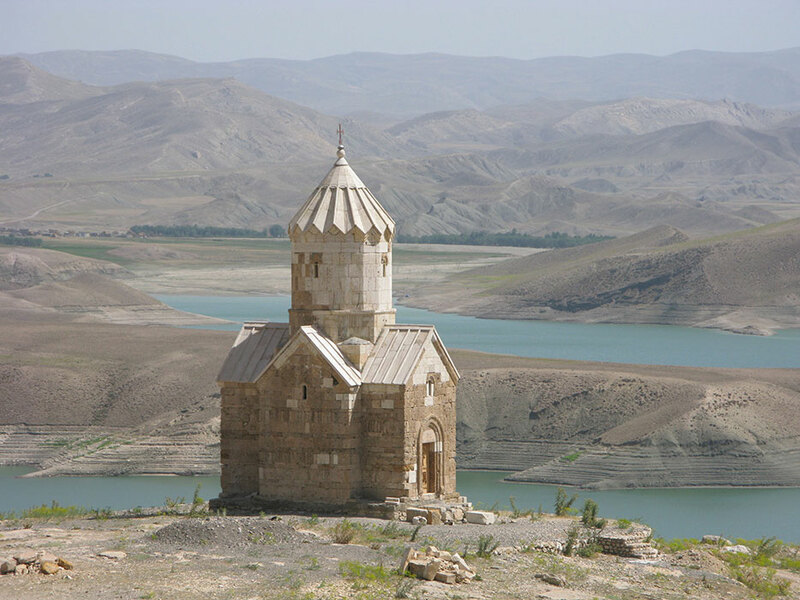 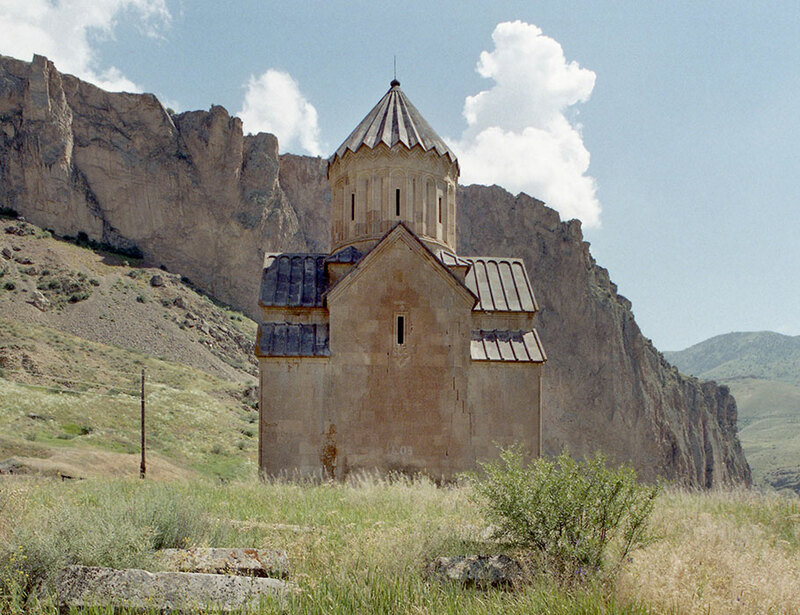 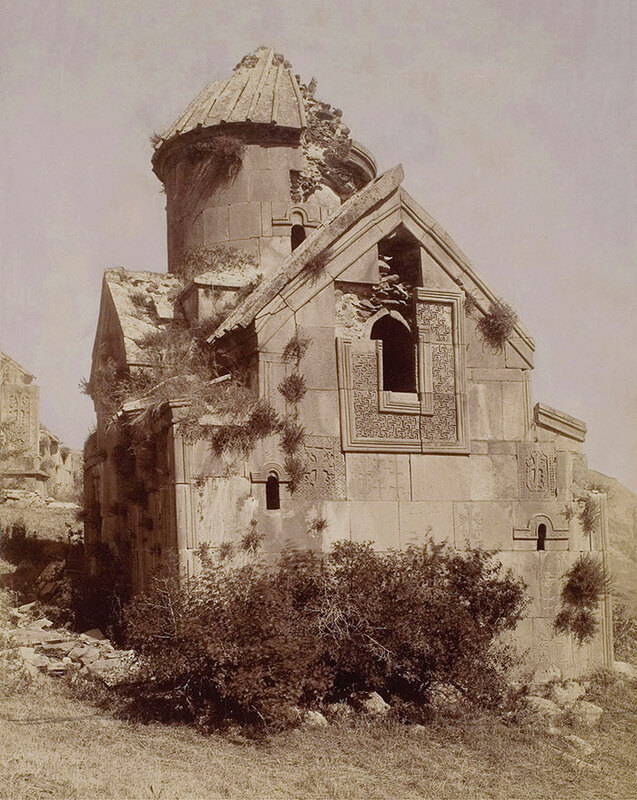 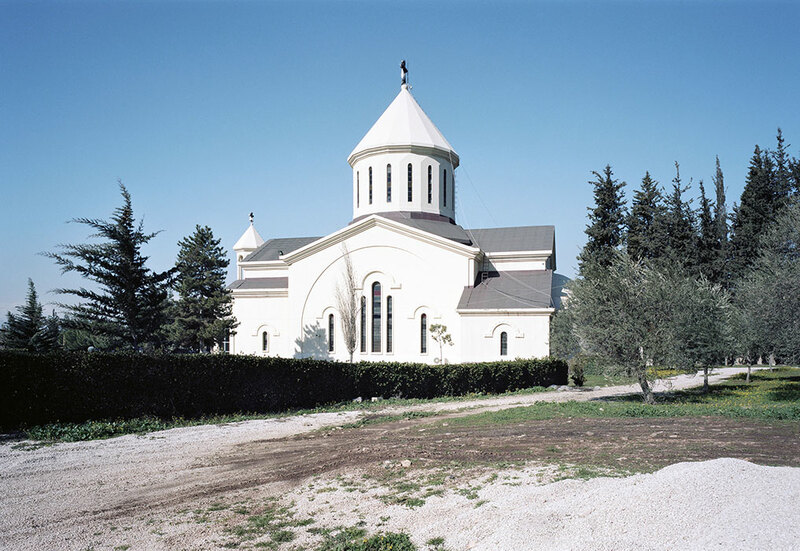 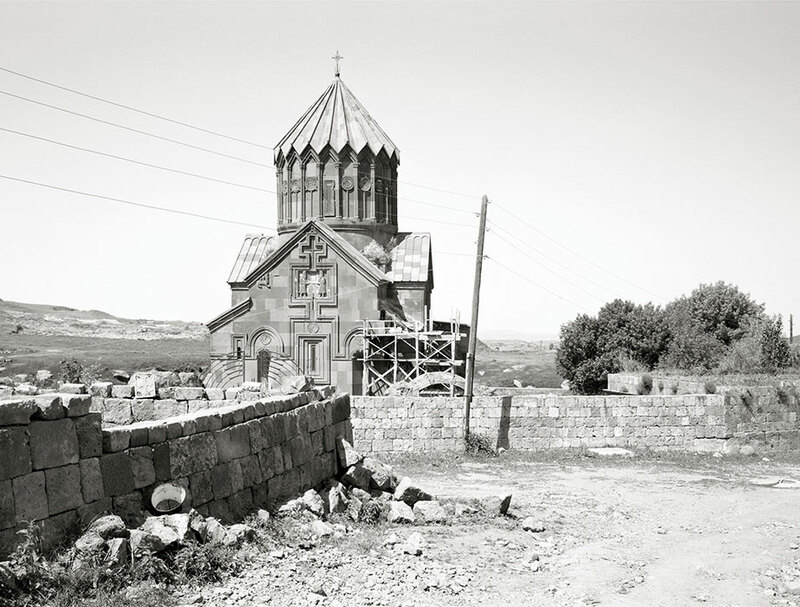 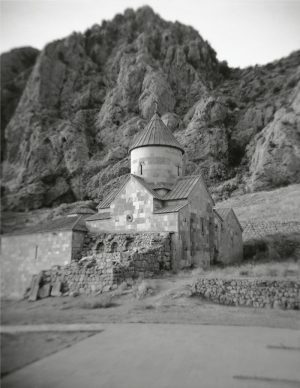 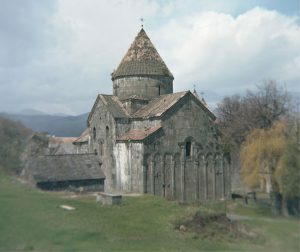 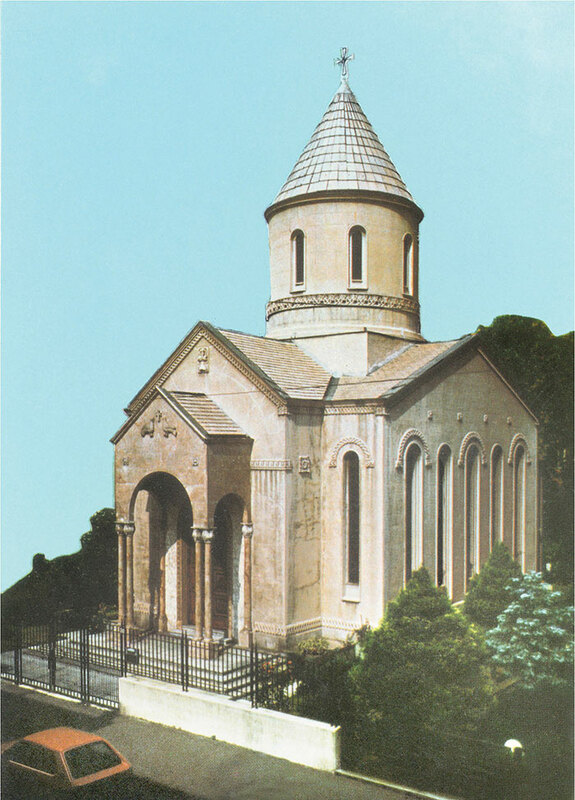 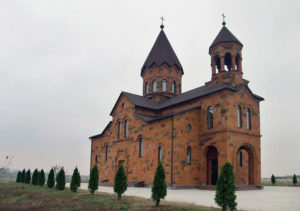 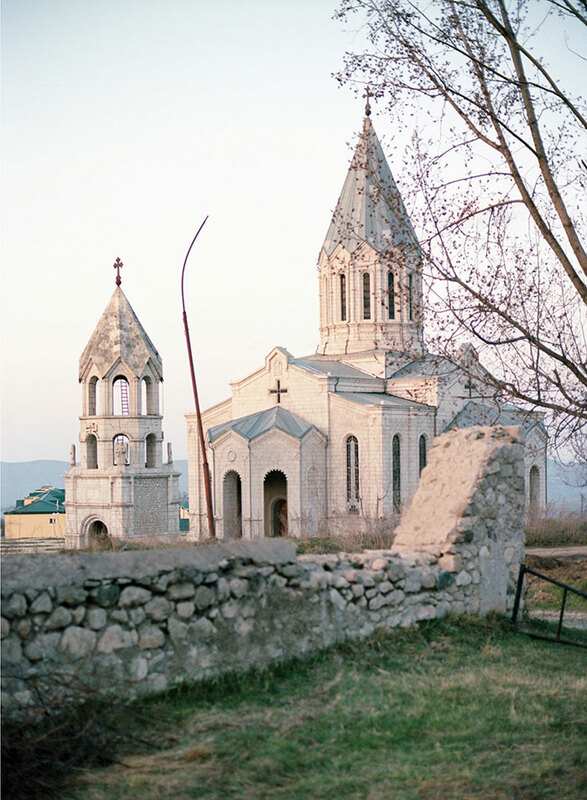 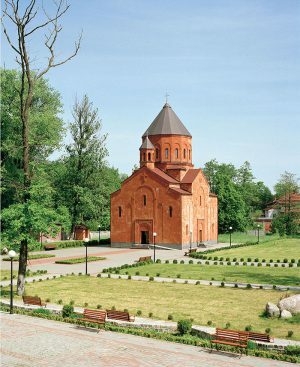 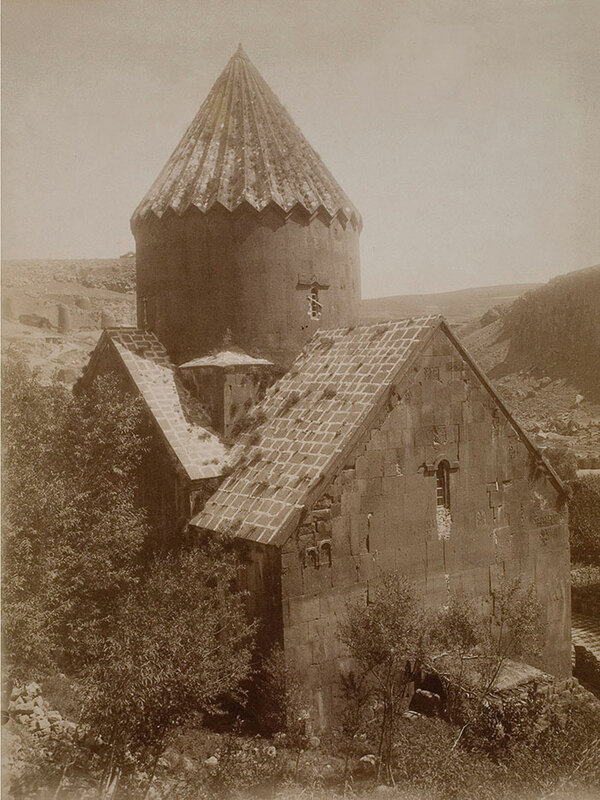 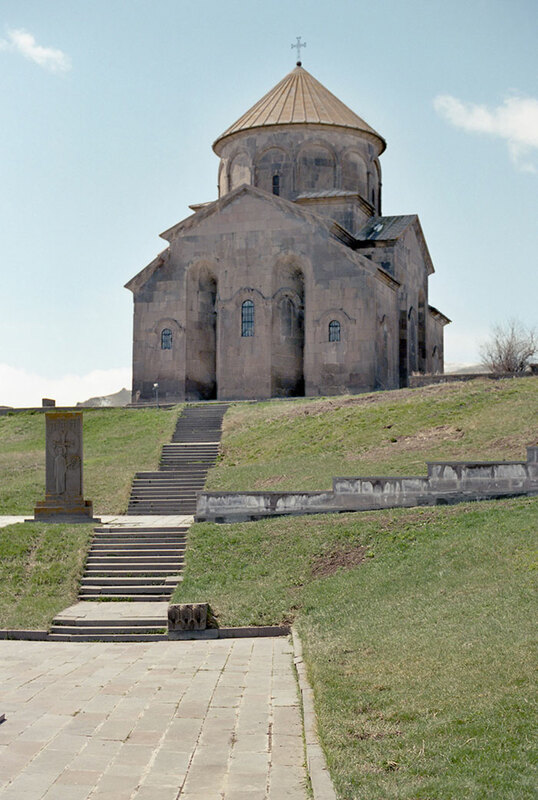 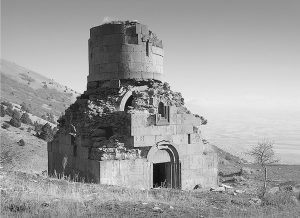 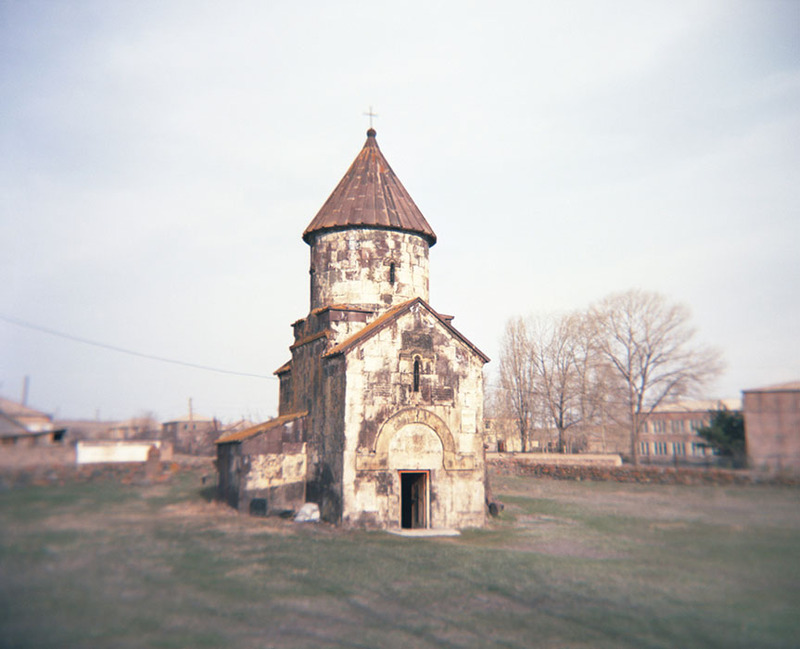 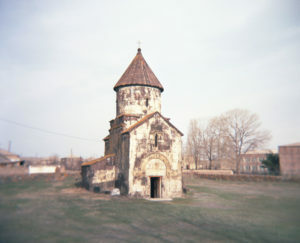 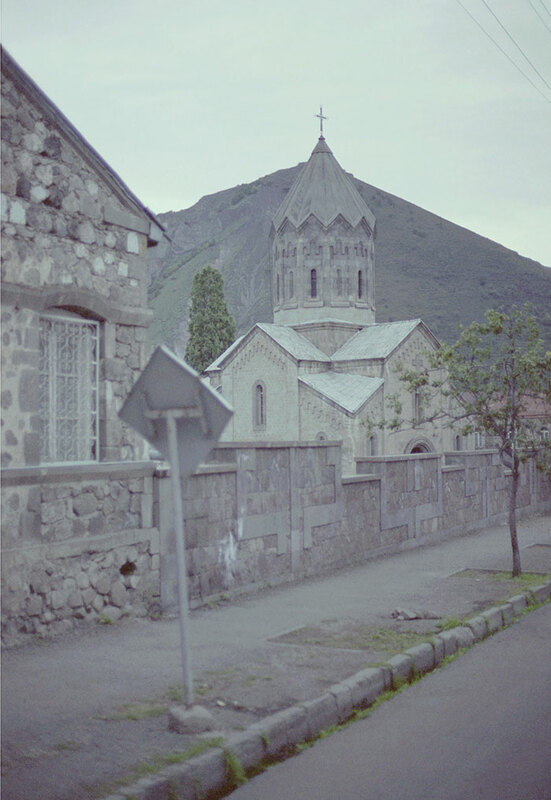 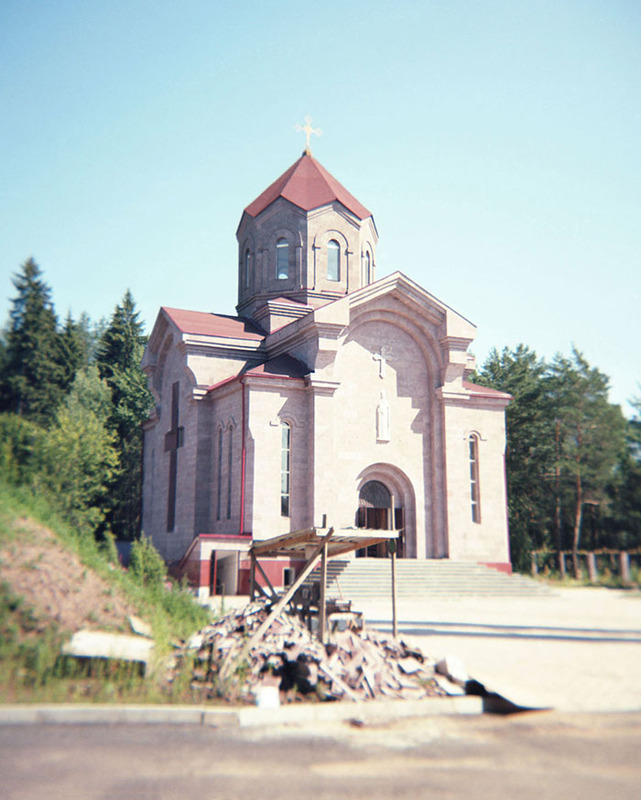 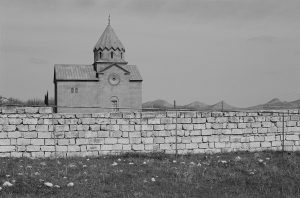 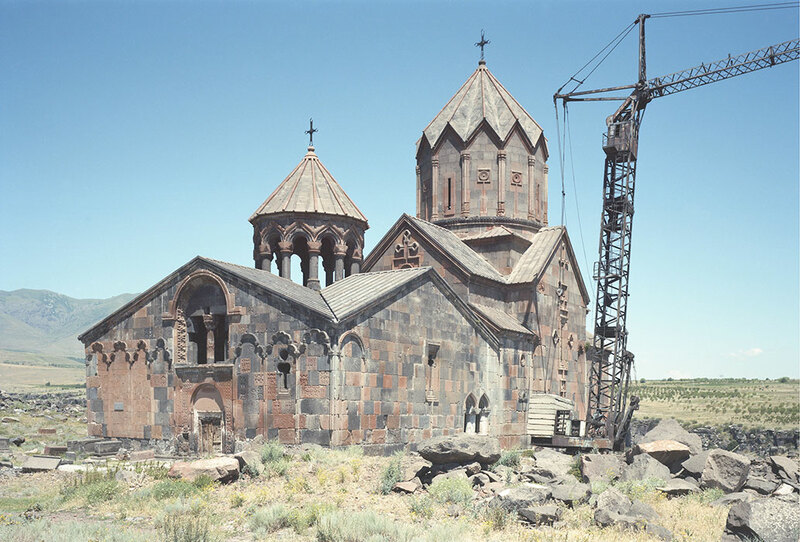 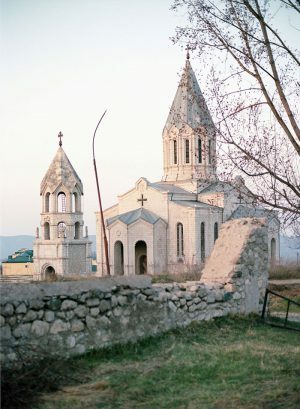 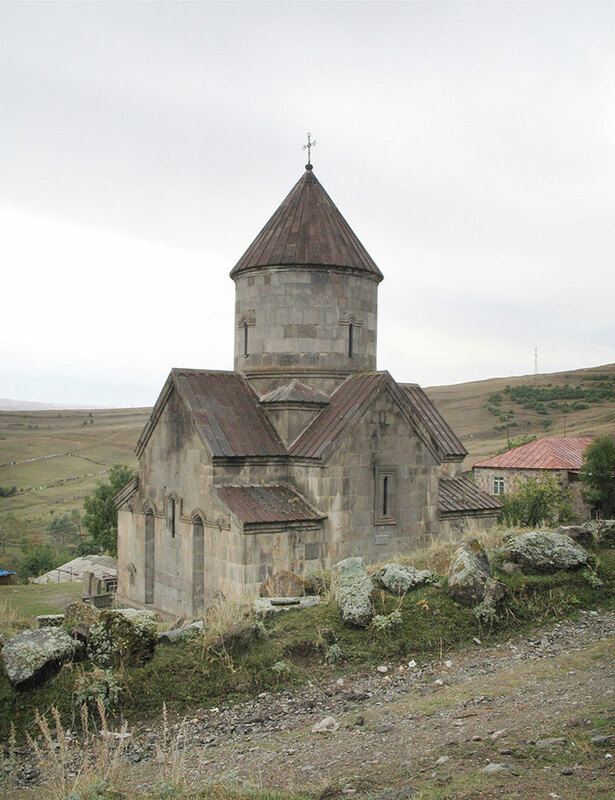 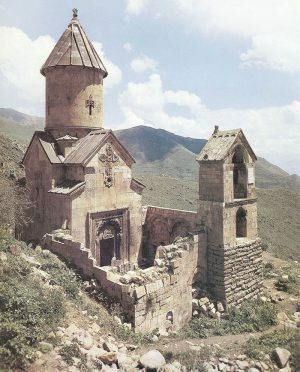 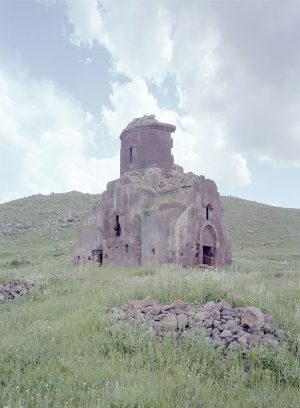 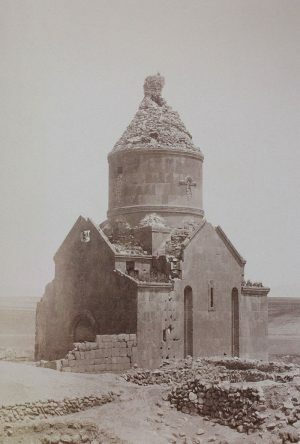 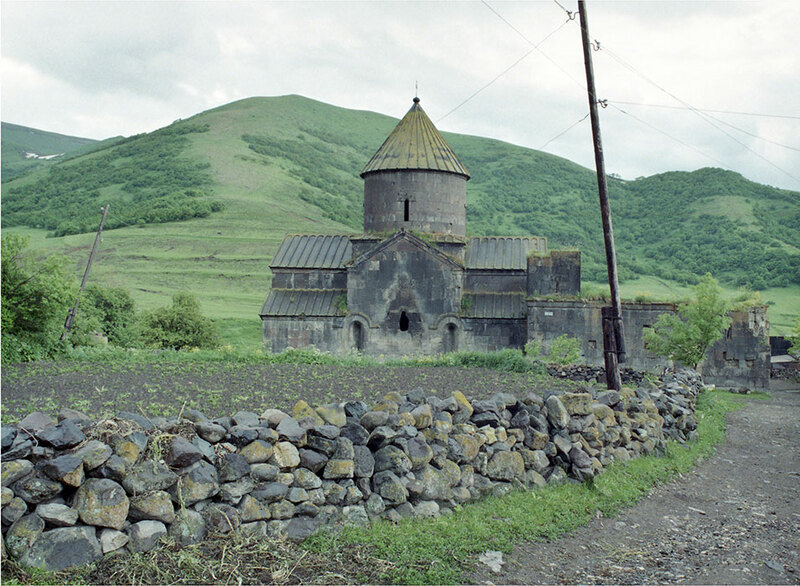 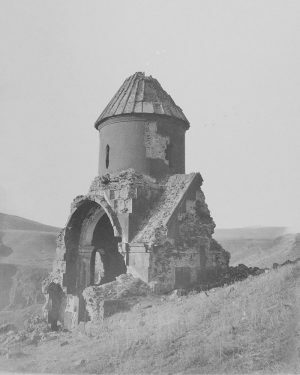 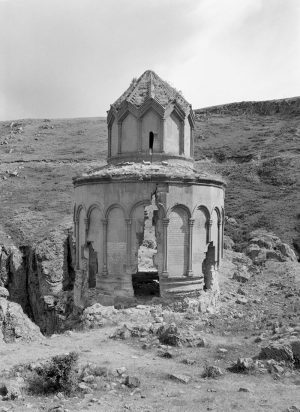 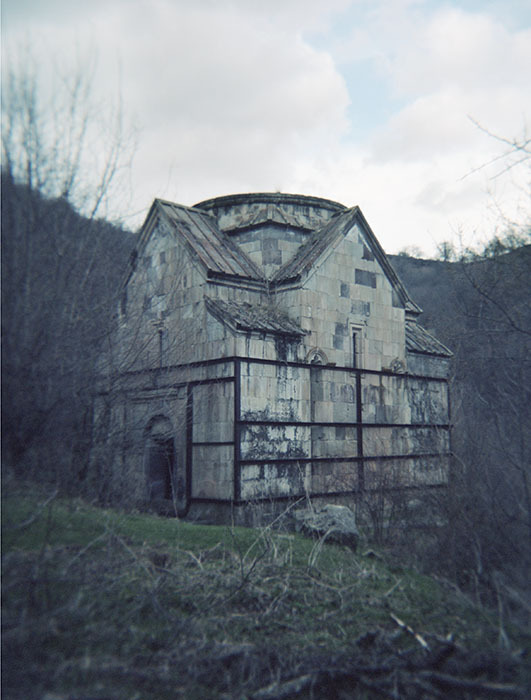 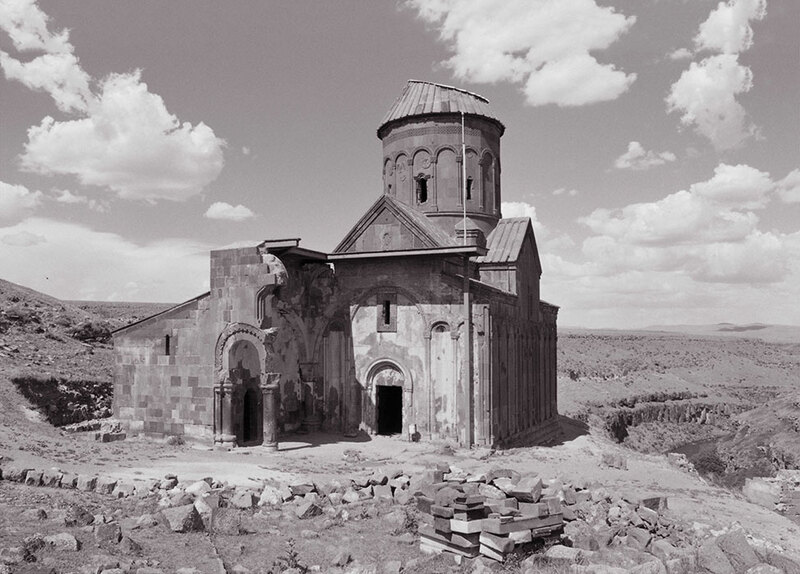 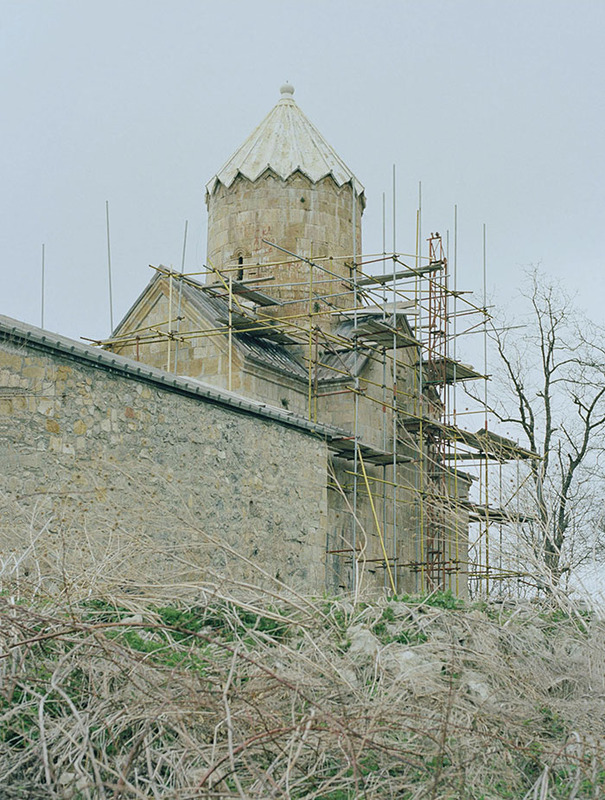 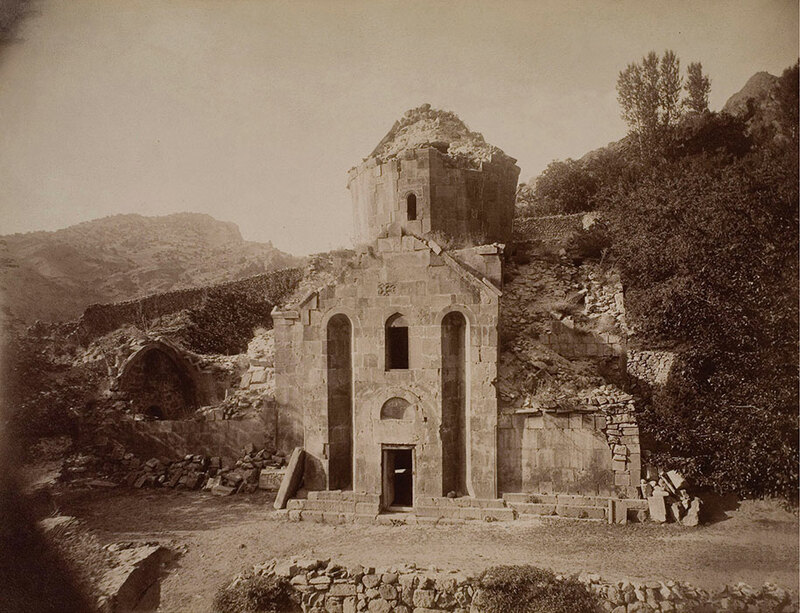 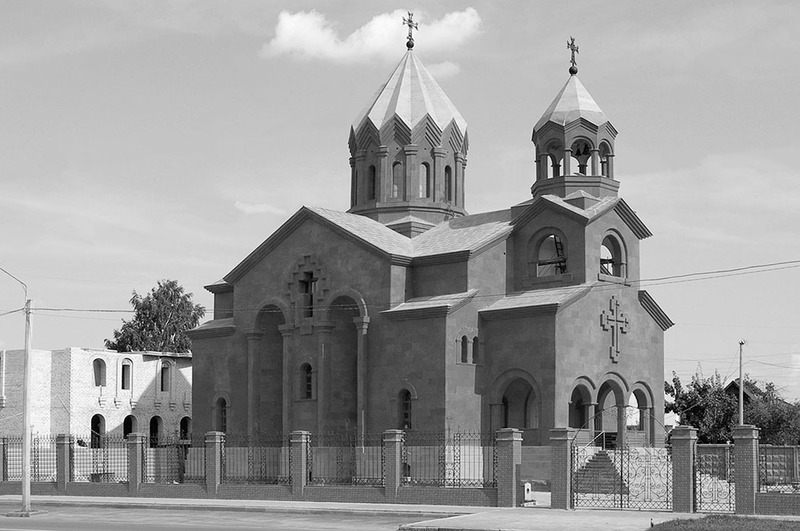 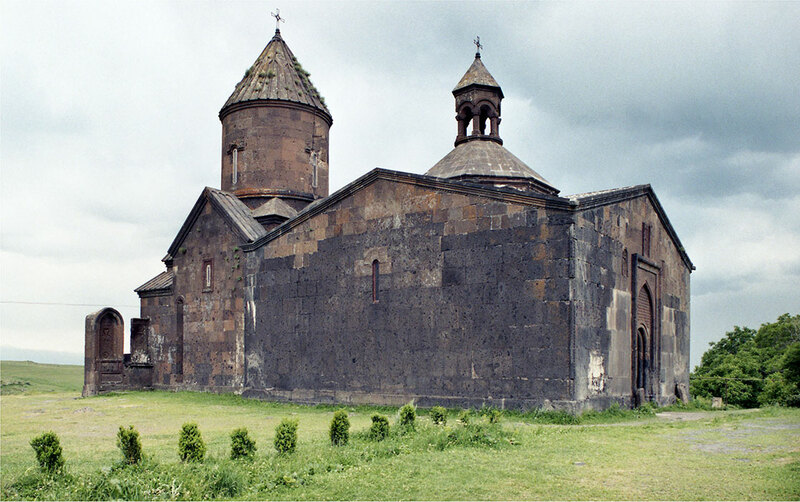 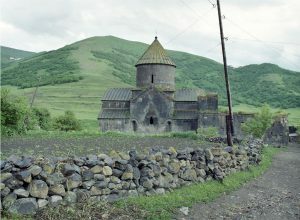 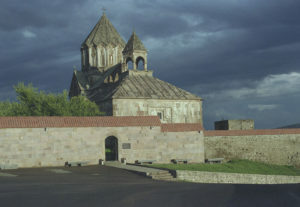 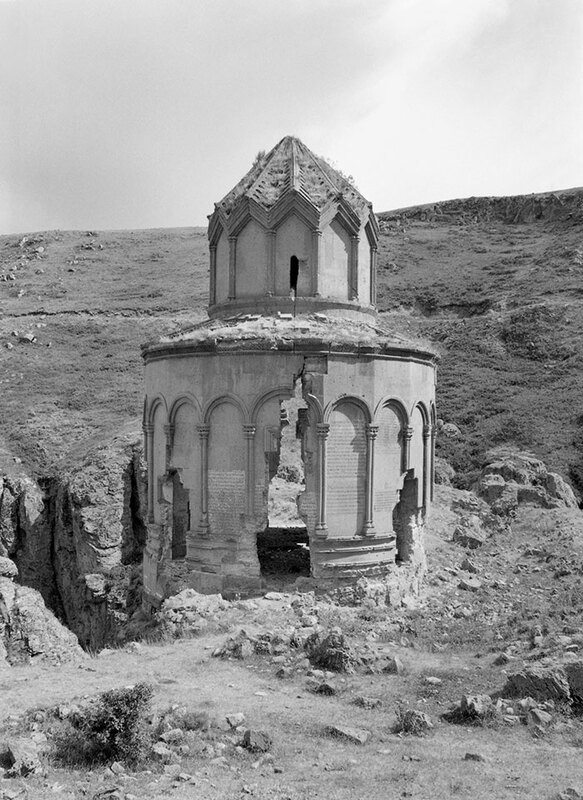 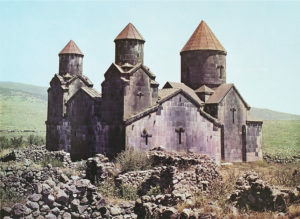 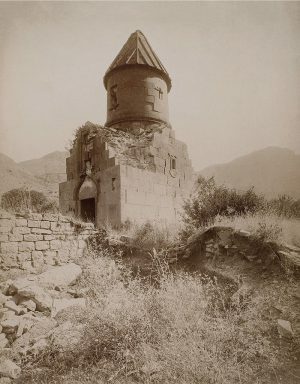 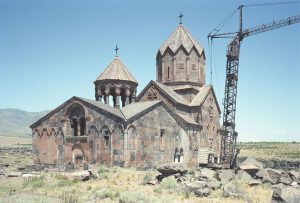 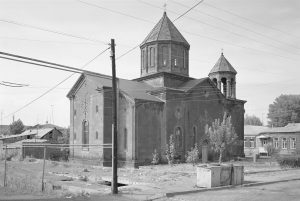 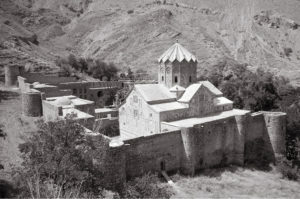 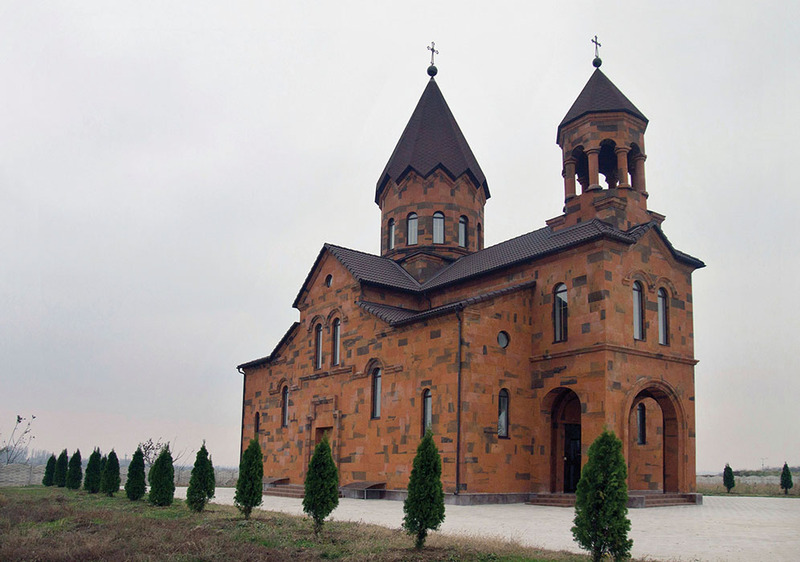 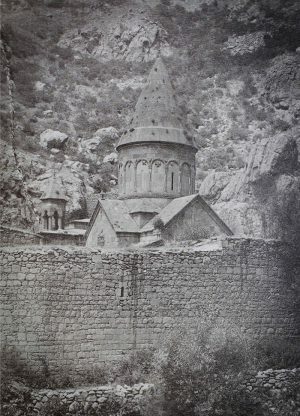 The images presented here are a selection from a series that depicts more than one hundred twenty-five Armenian churches in over than twenty-five countries in a continuous territorial flow that from Western Europe reaches Russia, Middle East and Armenia in the Caucasus. 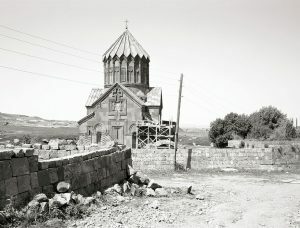 Collected over a period of nine years, the photos are taken from different sources: personal shootings, archives (in France, Germany, Italy, Georgia and Armenia), commissioned photographers and internet research. 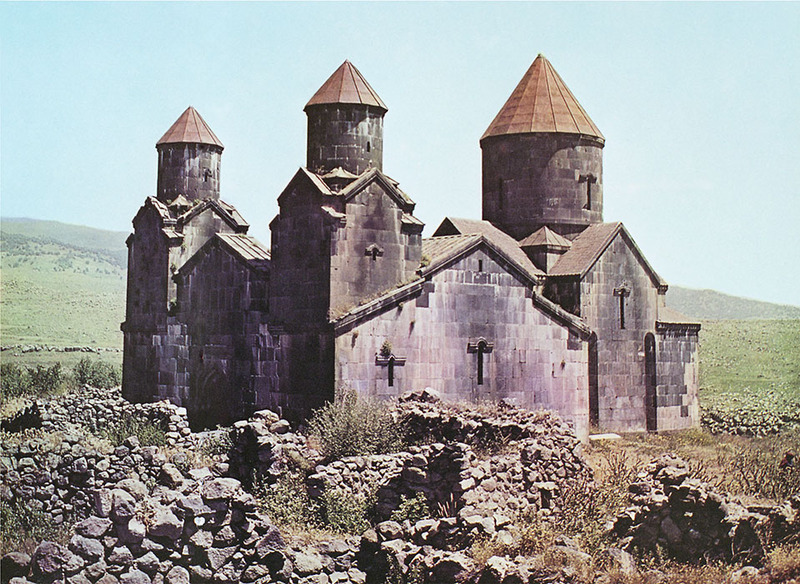 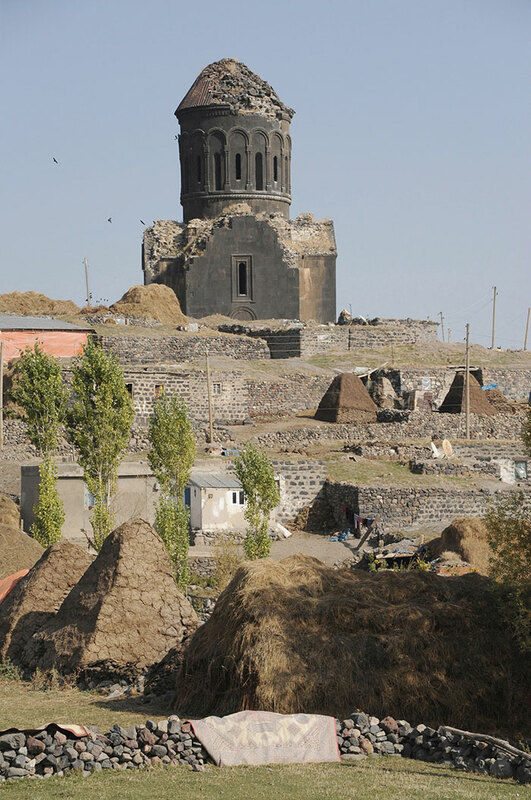 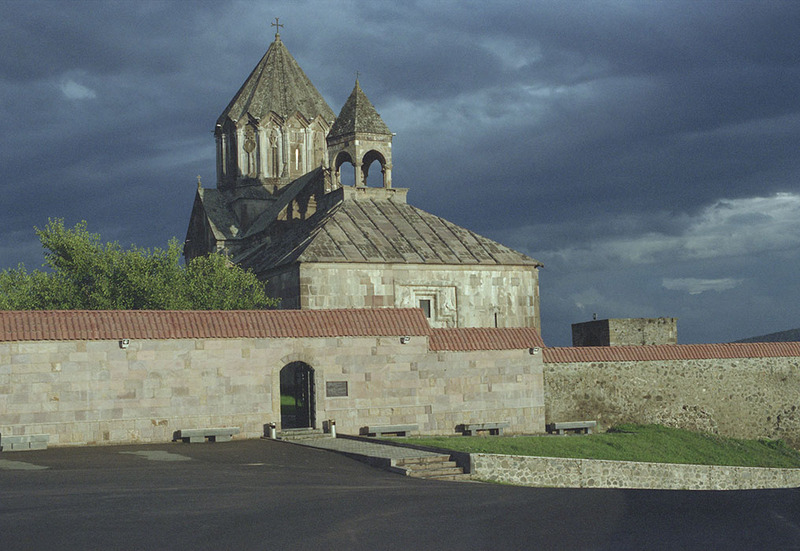 They highlight the peculiarities of Armenian architecture and the simplicity of its forms, which have remarkably remained unchanged for over 1500 years. Arménie Ville deals with time, memory, migration and the heritage of a people. 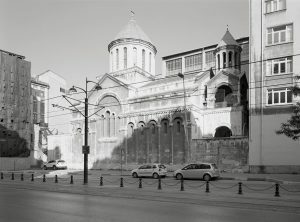 It also aims to raise questions within photography and about its concepts of authorship, serialization, representation and materiality. 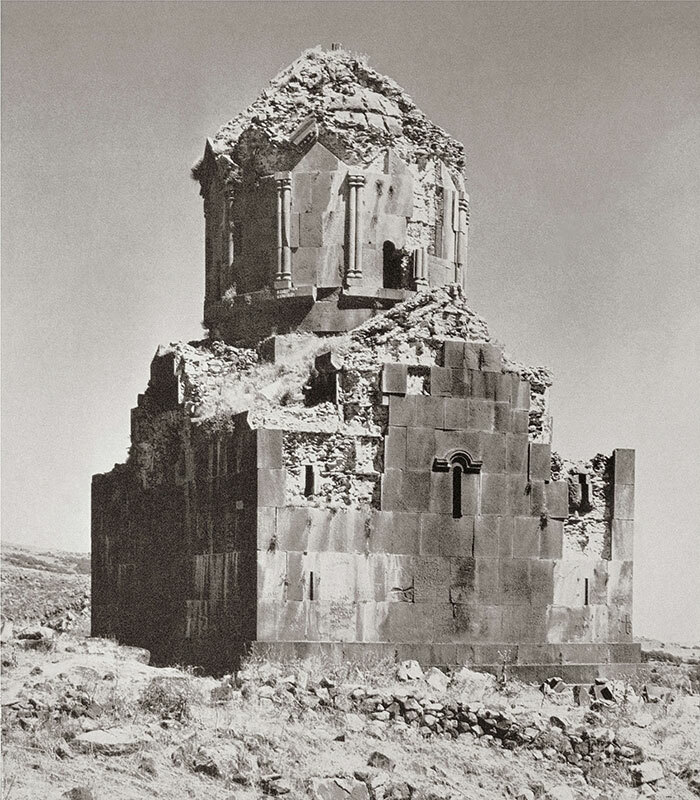 As a sort of unfinished Mnemosyne – the Warburg’s Atlas of Memory – each form is reproduced in a different place and in a different time, whereas monument and photography follow the same path, as they lack a steady vision and a definite age. 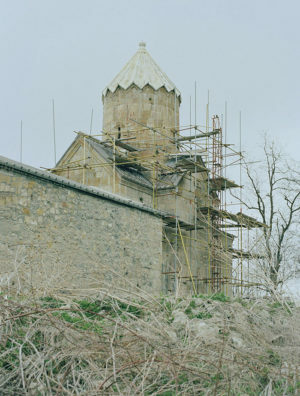 Thanks to: Art and Cultural Studies Laboratory, Yerevan, Armenia; Armenian Center for Contemporary Experimental Art, Yerevan, Armenia; Research on Armenian Architecture Foundation (RAA) Yerevan, Armenia; Centre de Recherches sur la Diaspora Arménienne and Bibliothèque Nubar, Paris, France; Centro Studi e Documentazione della Cultura Armena, Venice, Italy; Georgian National Museum, Tbilisi, Georgia; Arab Image Foundation, Beirut, Lebanon; Armenische Gemeinde zu Berlin, Germany and all the photographers that kindly contributed to this project.